Select 24 Hour Rush Service by 11am Central Standard Time Monday-Friday*, and your order will be sent to production immediately! Orders placed within the time constraints will be produced in 24 hours, and ship the next business day. Need to see a proof? We can do that! Request one and we will get a proof to you within a few hours, however that may push your order back to a 48 hour production time. 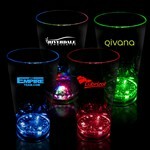 Call us at 1-844-66-PROMO, chat, or email us at [email protected] for assistance placing orders. The 15 oz. 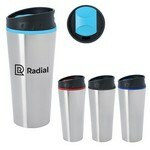 Stainless Steel Diamond Mug offers a firm grip making drinking from it a pleasurable and safe experience. 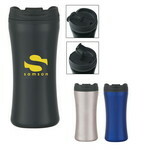 Use the durable features of the 15 oz. 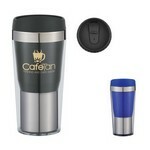 Stainless Steel Double Wall Tumbler to make a long lasting impression of your brand name and logo. The screen printed 15" Silicone Oven Mitt protects your hand when you remove hot pots or pans. 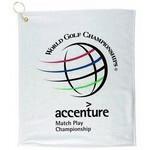 Our 15” x 18” Hemmed Color Golf Towel features brass grommet and hook and allows inserting brand logo to create impressive Business Giveaways. 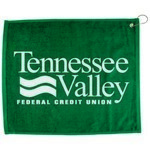 The 15” x 18” Polyester Blend Towel features soft and absorbent material and makes exciting Company Logo Products with brand details. The promo 16 Can Camo Cooler Bag includes a removable plastic liner for easy cleaning. 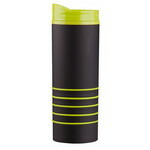 Our 16 Oz Rubber Coated Tumbler fits most automobile drink holders with spill-resistant rotating thumb-slide lid. It's a BPA-free product that meets FDA requirements. Promote your brand to a wide and varied customer base while keeping them happy and refreshed, with the 16 Oz Stainless Steel Vacuum Bottle. It features a double wall construction for insulation of hot and cold liquids. 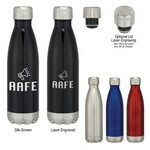 Get success and brand visibility flowing your way while your competitors hit a dry spell, when you use the 16 Oz Stainless Steel Woodtone Vacuum Bottle at the next marketing event. It features a double wall construction for insulation of hot and cold liquids. 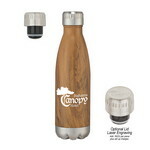 Automatically promote your brand as one that cares for the needs of its customers, with the 16 oz. Auto Mug.